Before understanding the sugar plants, lets understand the Sugar first, Its produced from sweet sugarcane / sugar beet. The Extraction process from each of the raw materials differs substantially with different procedures, a most common process of transform to suit the quality of ingredients defecation is adopted. Sugar manufacturing required crystallization and centrifuging process which is practically the same for all raw materials. As a Leading Sugar Plant Manufacturer we have dedicated team and department for Sugar plant. Our experienced chemical analysis team and high end machines cater all the process of sugar manufacturing and provide the best quality sugar for countries including India, Nepal, Sri Lanka and South African and other south Asian Countries. 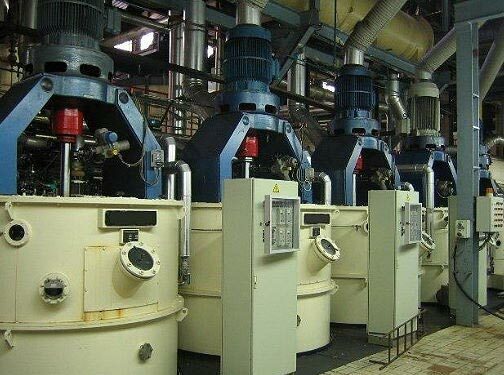 We at Ashoka provides all small to large quantity mills and equipment required for many factories and undertake turnkey projects from small, Medium and large scale sugar mills. We are also undertake the expansion of existing running sugar plants in terms of capacity and modernization.